Department of Aquaculture (DoA) was founded four decades ago and now has considered as a trend-setter for the development of aquaculture science in Indonesia. Starting in 1960, the marine fisheries department was formed by University of Indonesia (UI) under Faculty of Veterinary, Animal Husbandry, and Marine Fisheries. Somehow separately, later in 1961 the inland fisheries department was formed by the Faculty of Agriculture. 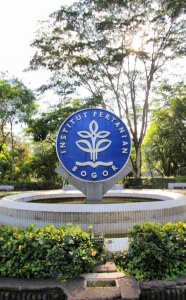 Both the faculty on 1 September 1963 broke away from the UI and founded the Bogor Agricultural University (IPB), which consists of the Faculty of Agriculture, Faculty of Veterinary, Faculty of Fisheries, Faculty of Animal Husbandry and the Faculty of Forestry. 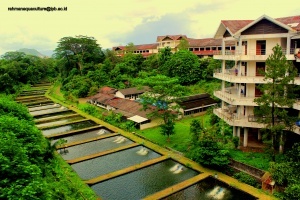 Hereinafter, both Inland Fisheries Department and Marine Fisheries Department ruled by the new faculty, the Faculty of Fisheries. During 1971-1972 the Faculty of Fisheries had four majors, one of which is the Department of Aquaculture (DoA). Department of Aquaculture (DoA) has mandate to develop science, technology and management of freshwater, brackish and marine aquaculture; includes fish and aquatic plants (aquatic biota) to be more environmental friendly and sustainable. The DoA develops undergraduate and postgraduate programs that competent to solve aquaculture problems and develop sciences and technology. Currently the DoA manage three study programs. Technology and Management of Aquaculture (TMA) is undergraduate study program that has been accredited A (Excellent) level by BAN PT. Then In 2013, TMA internationally accredited by the Asean University Network-Quality Assurance (AUN-QA). For postgraduate level, the DoA has Aquaculture Science (Magister and Doctoral) where both of them have been accredited A (Excellent) by BAN PT. 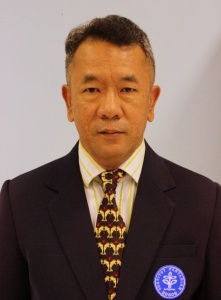 Nowaday, DoA is headed by Prof.Dr. Muhammad Agus Suprayudi. Provide relevant education to produce relevant graduates qualified to develop and implement science and technology in aquaculture and related sciences in line with the public needs today and in the future. Explore, develop and disseminate science and environment-friendly technologies through national and international researches. To become an established department to fulfil the fast changing public demand and national development challenges in accordance with national and global changes. To become morally strong department in developing civil society based on their expertise and rationale. 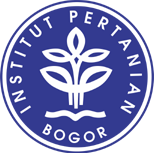 International collaboration is highly supported by the Directorate General of Higher Education, the Ministry of Research-Technology and Higher Education , and DP2M grant in international collaboration in research and publication. Another possible collaborations include ; student exchange and researcher exchange, field research, and community services.